Image & page number of the full stamp set shown below the project instructions. 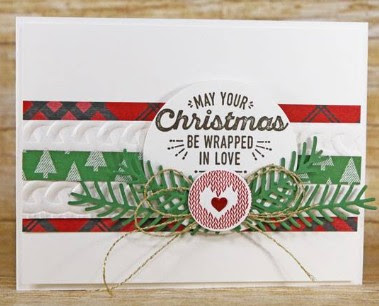 Fold Whisper White Thick cardstock to create card base. 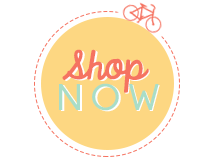 Attach Whisper White cardstock 4” x 5-1/4” to the card base using Dimensionals. Attach Warmth & Cheer DSP 2” x 5-1/4” across the Whisper White cardstock using SNAIL. Texture Emboss Whisper White cardstock 1-1/2” x 5-1/4” using the Cable Knit Dynamic Textured Impressions Embossing Folder. Attach across the Warmth & Cheer DSP using Dimensionals. 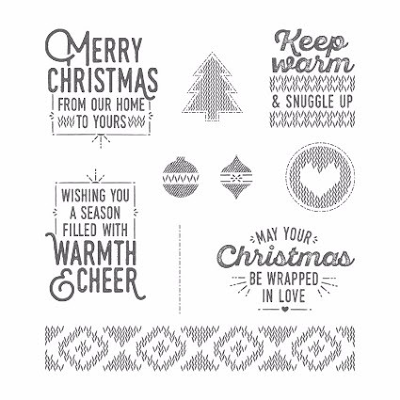 Attach Warmth & Cheer DSP 1/2” x 5-1/4” across textured embossed Whisper White using SNAIL. Die cut two small pines, two large pines from the Pretty Pines Thinlits and Garden Green cardstock. Stamp greeting onto Whisper White cardstock 2-3/4” x 2-3/4” using Early Espresso ink. Die Cut using Layering Circles Framelits (circle measures 2-3/8” wide). Attach to card front using Dimensionals. Attach pines to the bottom of the circle die cut using Mini Glue Dots. Tie a bow using Gold Twine, attach over pines using Mini Glue Dots. Stamp heart onto Whisper White scrap using Cherry Cobbler ink and punch using 1” Circle Punch. Attach over bow using Dimensional. Attach heart Enamel Shape into center of stamped heart.